Planning a Kentucky golf vacation? 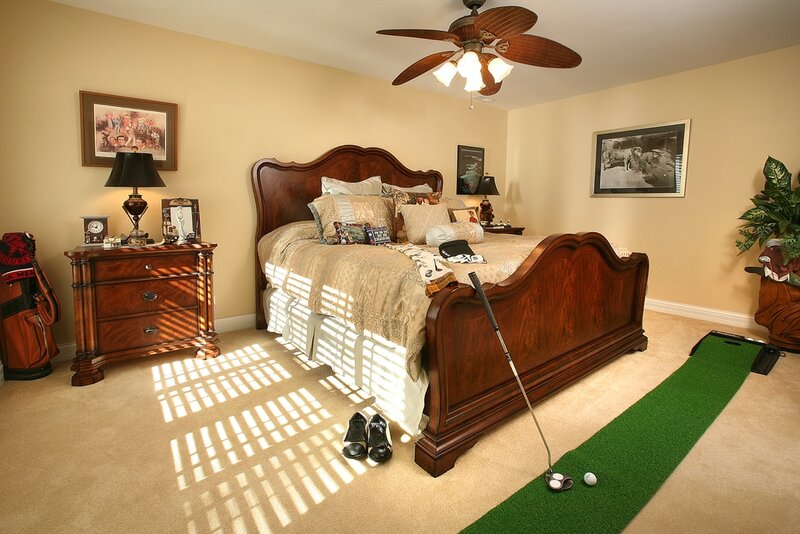 What accommodations could be more perfect for your weekend golfing getaway than our Turf Room! Turf, of course, could be associated with many things. Specifically for this Inn, we named it in association with Thoroughbred racing and golf since both are main attractions for the area.The Turf Room at Bluegrass Country Estate is on the same floor with our Full Room Theatre and Game Room. It also has its own private patio where you can enjoy a quiet breakfast or read one of the several golf books in your room to prepare for your game! It has a comfy King Size bed with its own private bath and walk-in closet to make you feel at home. Wireless Internet available throughout the B&B! ​We have furnished our rooms with Scandinavian Sleep Systems for the best sleep you will ever have!